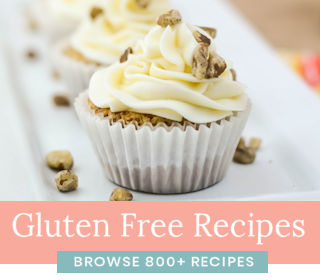 Are you ready for a treat for game day? 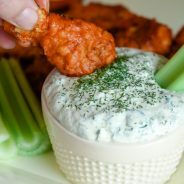 Then, try Frank’s Redhot Wings & Dill Dip! 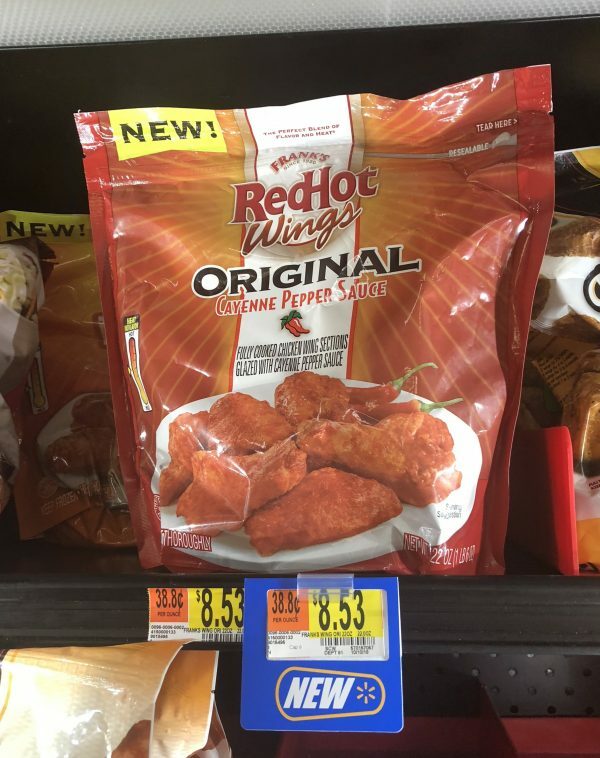 We all know and love Frank’s Redhot Sauces, but now they have a new product that is now available at Walmart. That’s right, now you can buy the wings coated in that delicious sauce all ready to go in the oven. To say my husband was delighted would be the understatement of the year. 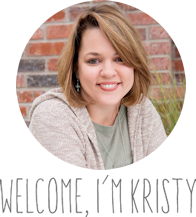 I’ve been with my husband for nearly 15 years now, and in that 15 years he’s always liked football but he’s never been one to HAVE to watch the football game. As in, we could go do other things when the game is on, but if he’s home he’d watch it. That all changed this year…seriously I don’t know him at all anymore. He’s glued to the TV. GLUED! He’s yelling at the players as if they can somehow hear his screams through the TV. It’s crazy. Who is this man? He used to watch Hallmark movies with me…now he spends hours watching football. It’s insane really. He’s met a few friends at church that apparently have made football fun for him and now he’s glued to it. Who else is glued to it? He started playing flag football this year and he’s actually pretty good at it, plus he’s caught on to what it’s all about. That means him and my husband are glued to the TV for hours and ready for snacks while they watch the game. That just means my daughter and I will soon have Sunday afternoon shopping trips…they won’t even know we are gone! 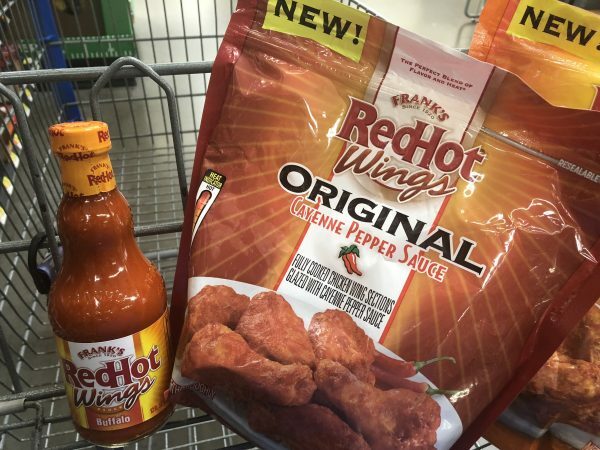 Where can you find Frank’s NEW Redhot Chicken Wings? The benefit is that I don’t mind cooking, but please…don’t make me watch the game. 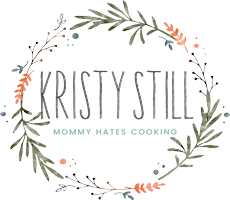 I’d rather cook, eat, and talk…and watch my Hallmark movies. 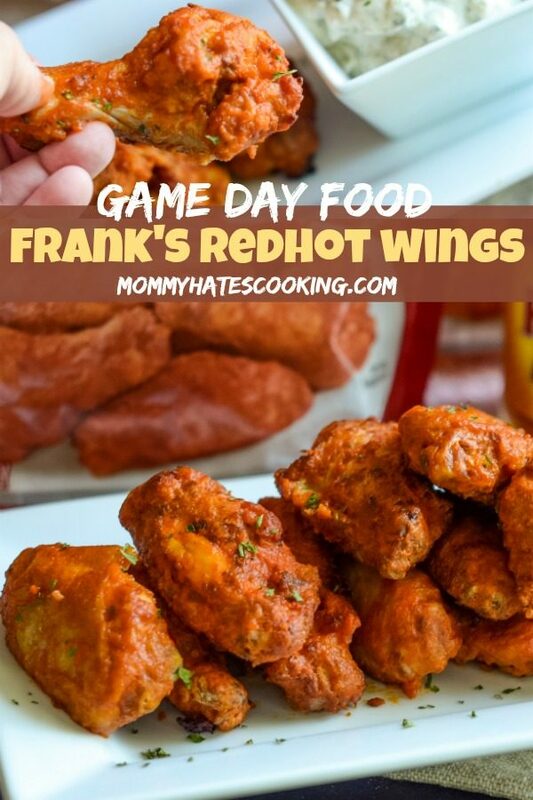 Thankfully, I can easily whip up Frank’s Redhot Wings. My husband LOVES these for game day. He’s been raving about them now since they came out. 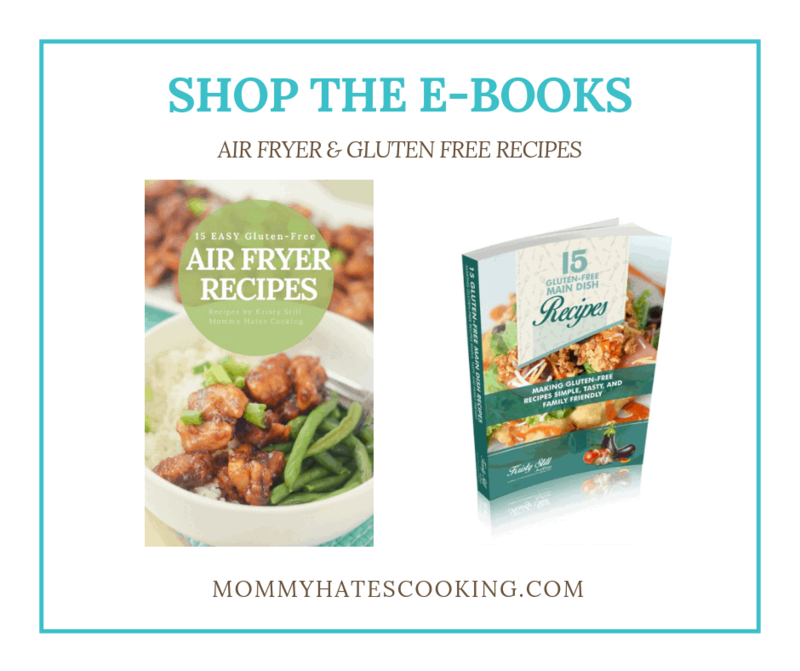 I highly suggest cooking them in the oven or you can even use the air fryer too. They are very saucy but he says that’s the best part of course. 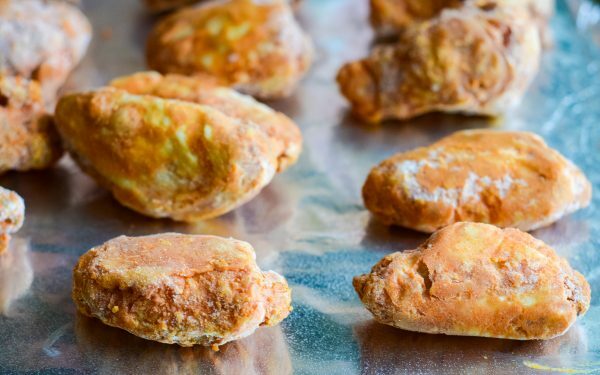 These wings can be picked up in the frozen foods section of Walmart. It was easy to spot them on the top shelf at our Walmart. I also picked up some Frank’s Redhot Buffalo Sauce too just to have on hand. 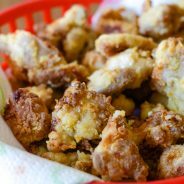 Also these are Bone-In Wings, they are basically the chicken wings you love but without any work on your part! 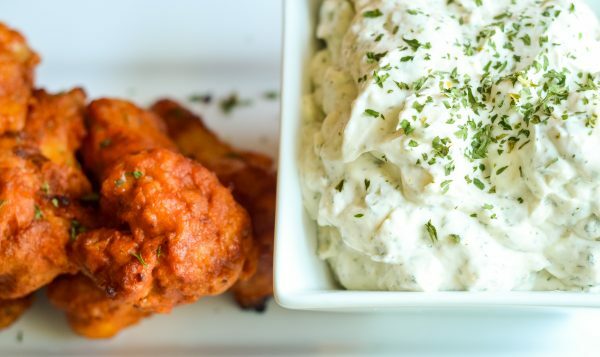 Did you know they were the first to create the original buffalo sauce? I’d say they definitely know what they are doing. 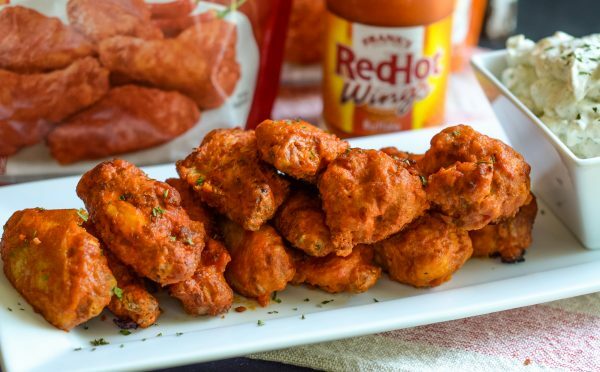 What varieties of Frank’s Redhot Chicken Wings do they offer? Good news, you can find these in 3 different flavors! 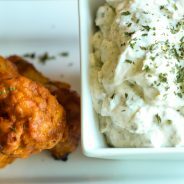 We tried the Buffalo and Original, both were fabulous! 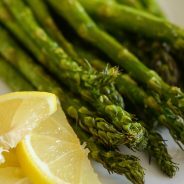 I highly suggest getting each one and sitting them out on a tray with dipping sauce, such as the Creamy Dill Dip that we served them with. 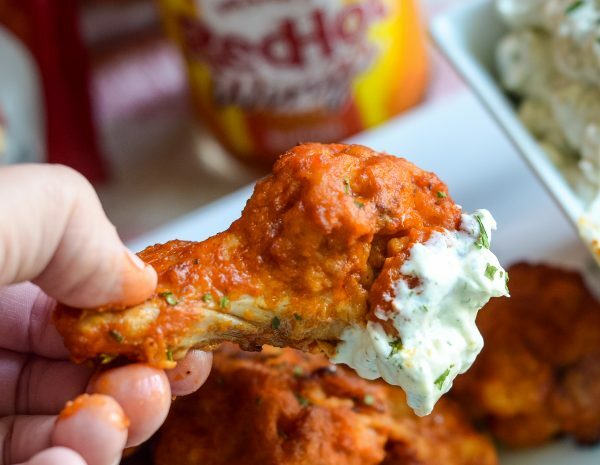 What dipping sauces should you serve Frank’s Redhot Chicken Wings with? 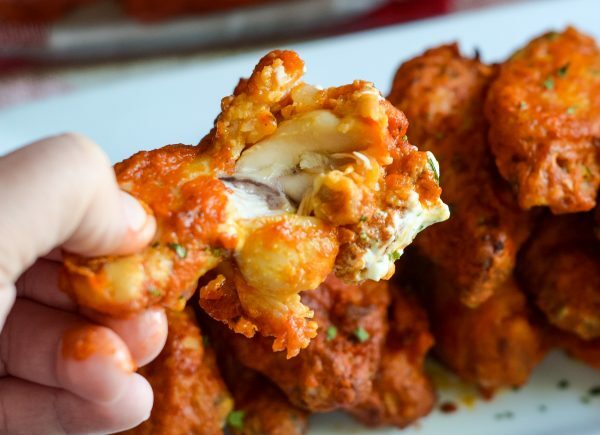 Are you ready for a bite today? 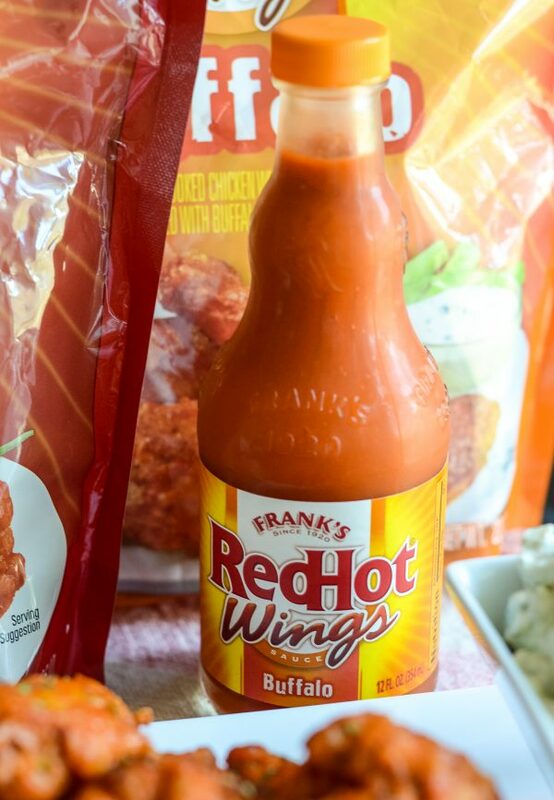 It’s time to enjoy Frank’s Redhot Chicken Wings! Head over to Walmart to grab yours today! 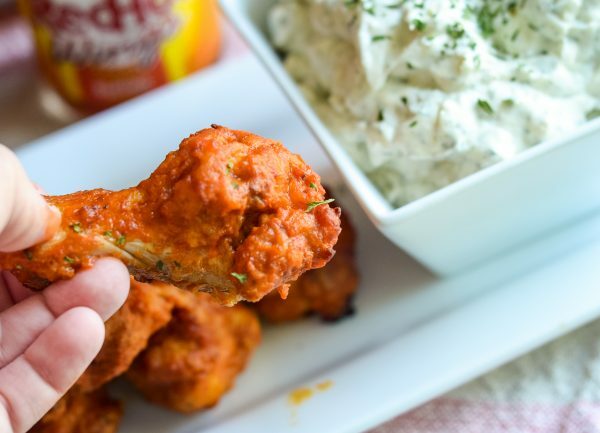 Pair this Creamy Dill Dip with Frank's Redhot Chicken Wings for a great game day treat! Cream together all ingredients in a large mixing bowl.